Open source, community and crowd innovations have not only drastically changed the way products and services are developed, but also the way we work and live. Yet, organizations of all kinds, may they be small or large, globalized or local, etc., still struggle to effectively adapt to this social, however, technology-enabled trend. 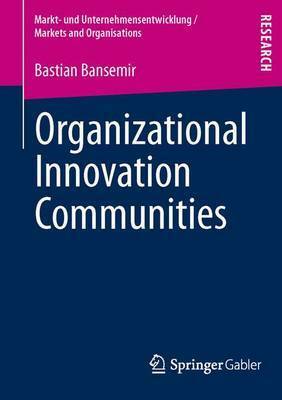 This work sheds light on community-based innovation development within organizations, i.e. 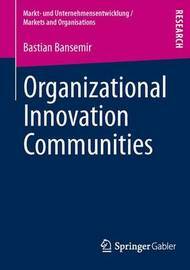 organizational innovation communities. Three major questions are tackled: How to introduce organizational innovation communities, or how to build communities from scratch? How to manage organizational innovation communities, or can we manage creativity? How to foster employee engagement, or how to turn ordinary employees into innovation hot-spots? Based on qualitative as well as quantitative research methods, the author derives in-depth and surprising insights as well as hands-on recommendations to speed-up, improve, and foster innovation development. Dr. Bastian Bansemir received his PhD in economic sciences from the University of Erlangen-Nurnberg, where he worked as Research Associate for Prof. Dr. Kathrin M. Moeslein at the Chair of Information Systems I. 68 Tables, black and white; 14 Illustrations, black and white; XVIII, 180 p. 14 illus.